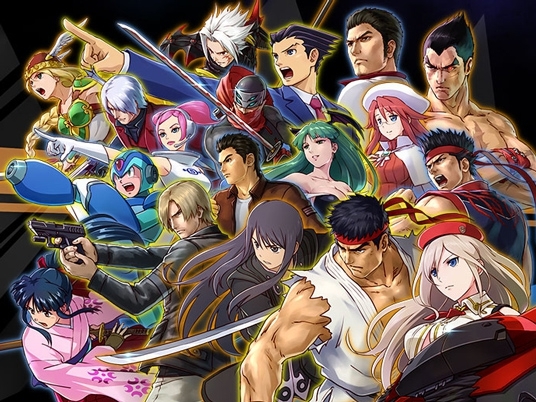 Project X Zone 2 is a mess in theory. It’s crossover strategy game featuring characters from Capcom, Namco, Sega, and Nintendo that exists almost entirely as a vehicle for jokes that make up the bulk of its 50-hour runtime. It sounds like a goddamned nightmare to all but the most dedicated of strategy RPG fans, and even then, memories of its boring-as-sin predecessor will likely turn away even that subset. But somehow, PXZ2 rises above everything stacked against it to become an incredibly charming and fun time that ate away hours without my even realizing it. It’s not the most complex game, which is to its benefit. It released alongside Fire Emblem Fates, which is the more interesting and deep game from a mechanical perspective, but PXZ2 will be damned if it lets substance get in the way of everything it has going for it. If there’s ever been a case for how far style can take you, this is it. You’ll move characters around on a standard SRPG grid, but as soon as you get into combat, the game shifts to 2D combat where you’ll input button combinations to juggle enemies in the air. The longer you keep foes airborne, the more damage you’ll deal and the flashier everything will end up looking. Most units are set up in pairs, such as Ryu & Ken, or Chris Redfield & Jill Valentine, but there are also solo units like Ryo from Shenmue or Segata Sanshiro from, well, his own line of Sega Saturn commercials. Solo units can be added to any pair of your choosing, and will help bolster combos and deal out extra damage. You’ll slowly build up an XP gauge through fighting that lets you utilize special attacks loaded with fanservice from whatever game the character you’re controlling originally comes from. Playing as Fire Emblem characters? They’ll recreate their poses from the Awakening boxart. Using the cast from Virtua Fighter? The battlefield will change to an arena from that franchise, ending with your units knocking enemies out of the ring. It’s more fun than you’d expect, just watching these animations play out, but PXZ handles fanservice with aplomb, backed by some of the best spritework on the 3DS. There’s little else to the combat outside of this juggle system, really. There’s a focus on placing units next to each other to allow them to tag in during fights and keep combos going longer, but it’s never vital to keep that stuff in mind. It’s a game concerned with you having fun, even if you don’t care about the smaller systems at play. PXZ2 suffers at times from its focus on flashiness, and almost every stage boils down to “kill all enemies, and when you’re halfway through killing this current lineup, kill these 50 other guys we just brought in”, leading to missions that can and often do last up to an hour. While it sounds draggy and potentially dull, I never actually got bored thanks to the game’s humor. The story is a barely-there goof about different dimensions coming together that just fulfills the purpose of getting everyone in the cast in the same place and time, but the localization team has done such incredible work that they ultimately make the game a far stronger product. They’ve filled it with obscure jokes and loving nods to just about every facet of gaming, and while it’s clear that it often strays far from the original Japanese, character discussions about, say, the oft-forgotten Aerosmith rail shooter Revolution X, or jokes about Action 52 go a long way in keeping the game fresh and fun. It’s a game that’s 100% aware of how absurd it really is, and uses that absurdity to deliver its funniest moments. Even if most of the properties represented by the cast here aren’t your thing (though really, Segata Sanshiro should be everyone’s thing), if you’ve played a Japanese game in the last 30 years, there’s something here that’ll make you smile. Even the original characters created for this franchise help keep things consistently funny, with one character in particular, an American who speaks in broken Japanese she picked up online, going down as one of my favorite villains in quite some time. As a game, Project X Zone 2 sometimes gets caught up in its own sense of style and often confuses length with value. As a celebration of the medium, however, it’s an unmitigated success. Even if the glut of content is overwhelming, there’s enough love poured into even the smallest details to make this worth a shot.